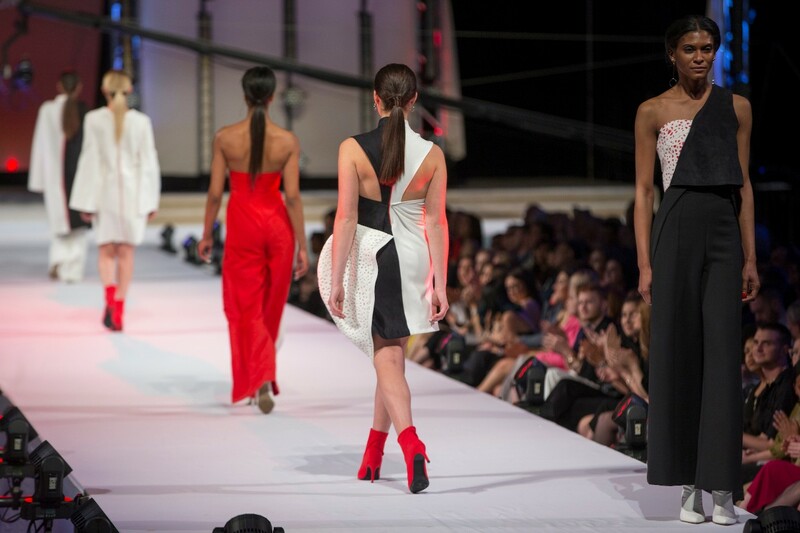 The University of Cincinnati is bringing fashion to a different kind of runway at Lunken Airport for the 68th annual DAAP Fashion Show. For the first time, a 30,000-square-foot airplane hangar will be transformed into a fashion runway for this popular event. 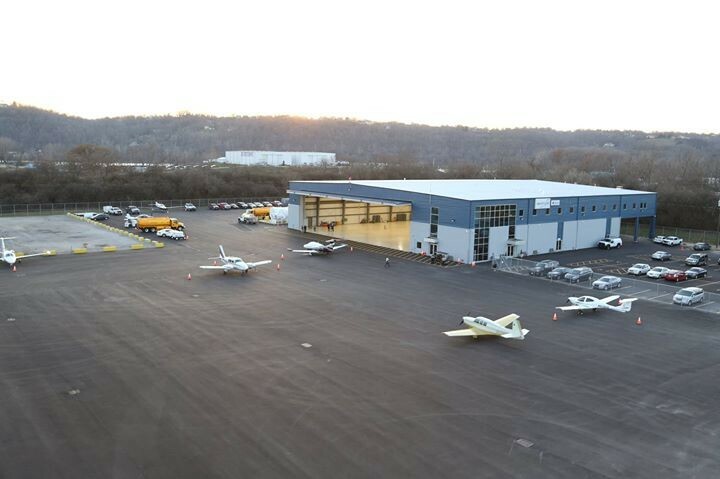 UC has partnered with Waypoint Aviation to use their private jet terminal at Lunken Airport, located in Cincinnati’s East End, as a unique new venue. As always, senior students from UC’s College of Design, Architecture, Art, and Planning will present their thesis collections, totaling more than 250 garments from 53 students. 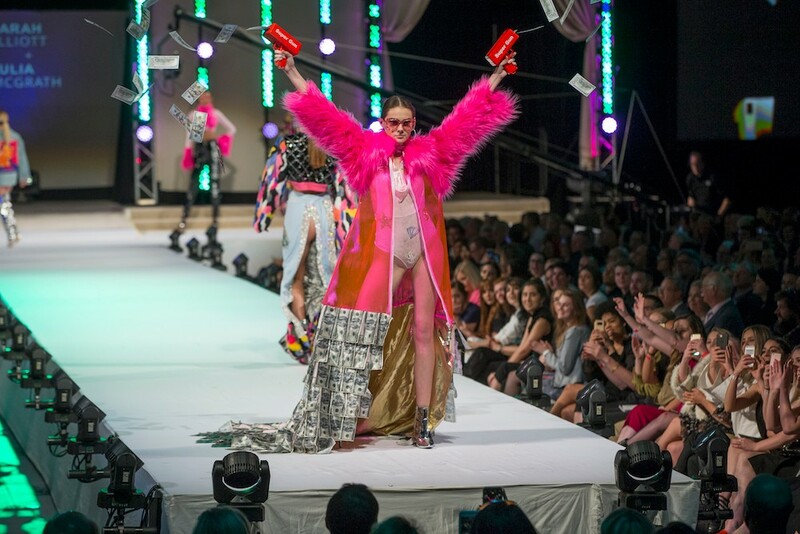 The show is complete with lighting and staging by a team from UC’s College-Conservatory of Music, 40-plus models, a live DJ and a backstage crew of more than 150, including Aveda hair and makeup designers, dressers, lighting and sound techs and stage managers. The show takes off at 7:30 p.m., Friday, May 3. With a new location changing the look and feel of the show, this year’s show theme is “NEXT,” a nod to UC’s strategic direction, Next Lives Here. In the past, the DAAP Fashion Show has taken place in UC’s Campus Recreation Center, Taft Theatre and Cincinnati’s convention center. In early years, classroom tables were tied together to form a runway. This new venue will make for a totally new experience. Wilson notes that unique environments for fashion shows are a trend at fashion weeks around the world, and these shows often feature a runway at audience level instead of on an elevated stage. Waypoint’s hangar allows them to create a similar experience, as all attendees will be within five rows of the runway. Mark Davis, CEO and owner of Waypoint Aviation, looks forward to hosting such a long-standing and unique event in the hangar. "After meeting with the UC team and hearing the history behind the UC DAAP program, we decided to open our doors to host the runway on our runway,” says Davis. “We are excited to be among such amazing talent in the fashion industry and are looking forward to the show." Among the attendees will be representatives from industry leaders including Macy’s, Victoria’s Secret, Gap, Abercrombie & Fitch, Cintas, DKNY, Calvin Klein and Procter & Gamble — many of whom use the show as recruitment opportunity for new talent. DAAP fashion design alumna Tessa Clark, who is currently competing on this season of the hit show “Project Runway,” will also be in attendance. Three years ago, her collection Grind and Glaze made its debut on the DAAP fashion show runway. Tickets are now available and selling fast online. “NEXT Fans of Fashion” tickets are $50 and include reserved seating and entrance to the after-party at Rhinegeist Brewery in Over-the-Rhine. The “NEXT VIP Experience” includes premier seating in the first two rows, a complimentary DAAP fashion 2019 collection book and valet parking, entrance to a pre-show cocktail party with dinner by the bite and the after-party at Rhinegeist and the chance to win a New York “fashion flyaway” for two, courtesy of Ultimate Air. Those interested in VIP tickets can call or email Patti Bresler, DAAP VIP ticket concierge, at 513-556-4299 or daapevents@gmail.com.